Hi everyone! July Card Kit from Simon Says Stamp has been revealed a few days ago and it is truly awesome! A perfect mix of red, white and blue colors and fun maritime images. 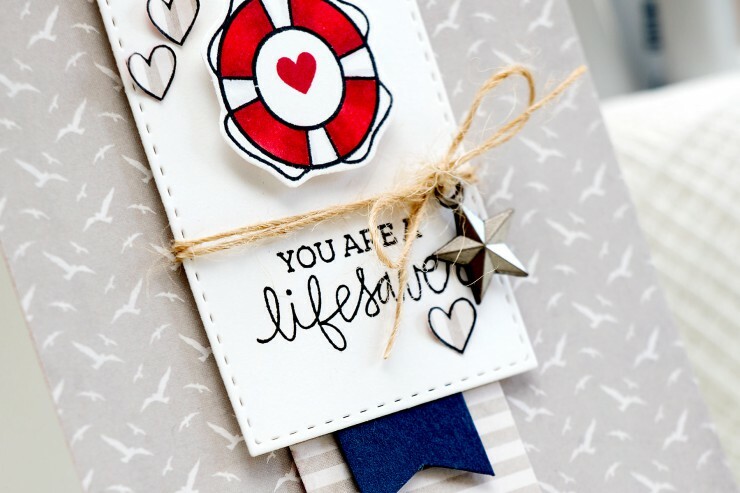 What I love most about this one – different sentiments; You Are A Lifesaver is my most favorite one, so clever! Here’s a look at a project I created using supplies from my kit + my favorite stitched rectangles dies from Simon. I covered the front of my A2 top folding card using patterned paper. Love those sea gulls! Added vertical banners created out of grey stripped paper and blue cardstock and adhered a die cut rectangle on top. 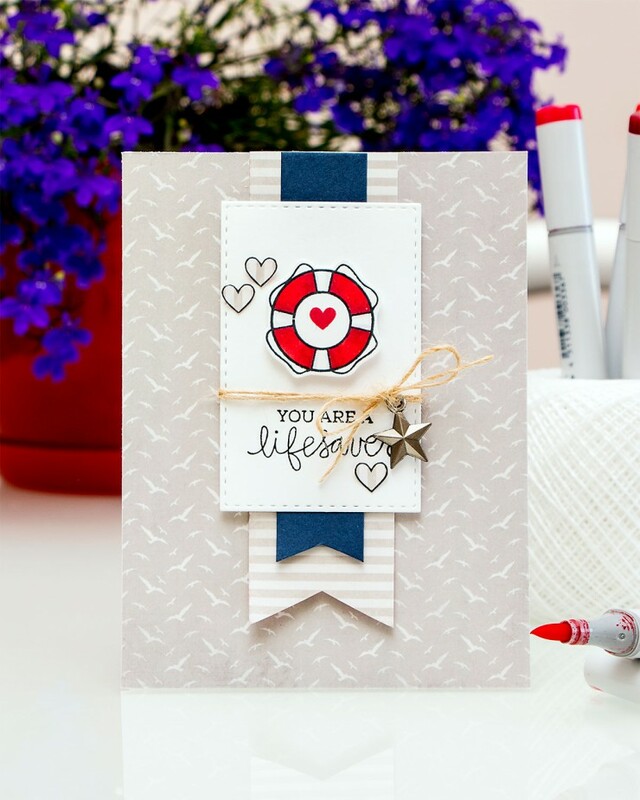 I stamped a You Are A Lifesaver sentiment and added a Copic colored lifesaver image. I finished this project by adding some natural twine, a metal star and a few hearts. Awesome card!!! Perfect supplies for a nautical theme! What an amazing card Yana! Love those gorgeous colors! I love your card. I can’t wait to get my kit.